Mali Mish - Day 155: Walking around John Pennekamp Coral Reef State Park. During our last visit at John Pennekamp, it was so windy that we never got to enjoy the beaches. The weather this time around is much better so we are going to do some exploring today around the park. The girls started with a little matching game in the Mish while they waited for their daddy to wake up. 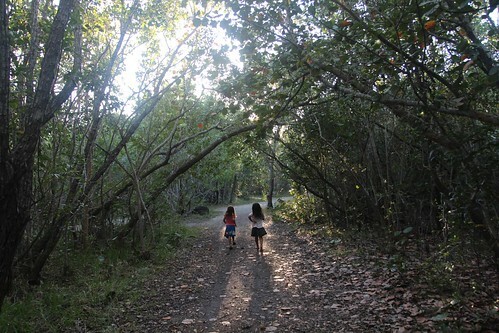 There are about 50 sites in the campground and most of them are occupied. 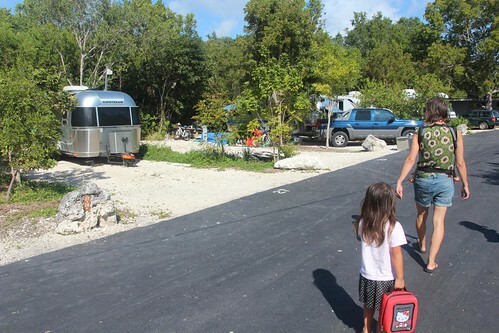 On our side of the campground, there are about 5 other Airstreams in the park. We first went into the gift shop to see what types of activities they offer. John Pennekamp is known for its scuba diving and snorkeling. Although there are places to go just off of the beach, the best places require a boat ride. An all day snorkeling trip costs about 25 bucks for an adult. If snorkeling is not your thing, you can also go out on a glass-bottom boat. We looked into what it would cost to take a ride and they wanted to charge the kids 18 bucks a pop, including Luka. No thanks, we will pass. 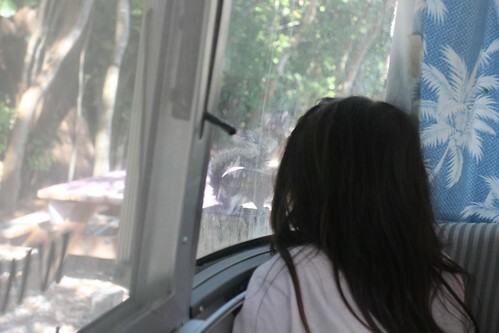 Just outside, we sat and ate a little snack at the tables. 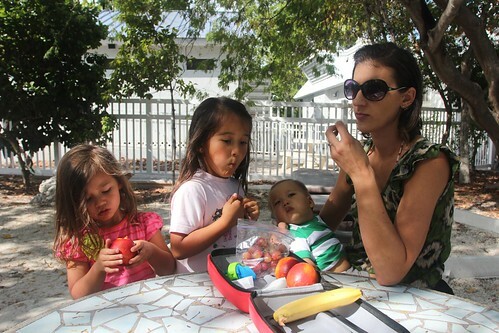 This is where we also sat during our last visit and ate our first key lime pie in the keys. 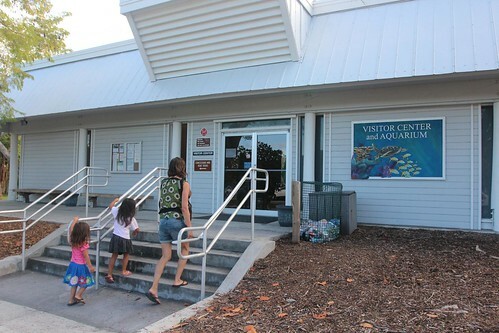 The adjacent building is the visitor center and aquarium. It was partially under construction 3 years ago so we were anxious to see what they have done. 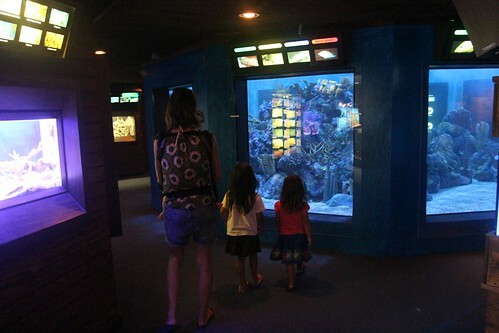 This aquarium was the area that was just being built during our last visit. It’s not a very big area but it is fun for the kids to get a close up look of the local sea life. Even though the campground is not waterfront, the beach isn’t very far. Within a few minutes you can be at this beach. Since we will be here for a few more days, we are just doing some scouting instead of getting in the water. 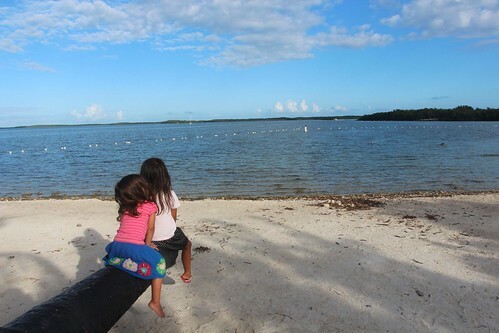 On the other side of the state park is another small beach where visitors can relax and play in the water. 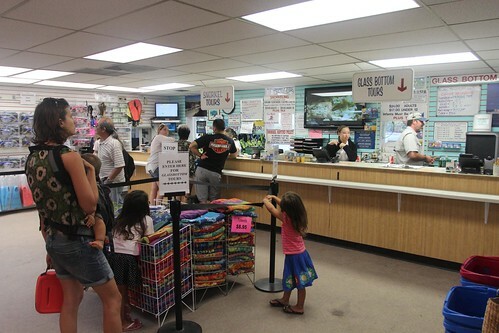 Since this is the closest and biggest state park in the Florida Keys, there are a lot of tourists here from all over the world. Walking around here you can hear people speaking dozens of different languages. That also means there are a lot of dudes wearing Speedos at the beach. I took the liberty of sparing you from the horror by avoiding them in the photos. There is only so much you can take of that at the beach. Let’s hope the girl are not too traumatized. Day 156: Beach day at John Pennekamp Coral Reef State Park. 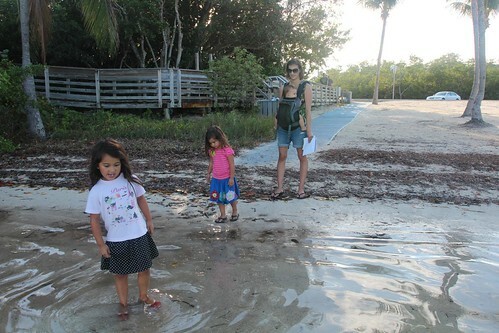 One Response to Day 155: Walking around John Pennekamp Coral Reef State Park. Your post made me laugh. What is it with European men and Speedos?